Please ensure that you complete this enquiry form in full to register your interest with Jack H. Marston II Melanoma Fund, ensuring that all questions marked with a '*' are answered. Please be careful when completing all fields as this information will be provided to Jack H. Marston II Melanoma Fund as part of their decision making process. 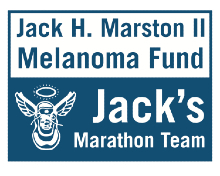 If you are chosen, you will receive an email notification containing information on how to support Jack H. Marston II Melanoma Fund.